Statcounter provides customisable hit counters, visitor tracking, web analytics and website stats for PhotoShelter. Log into photoshelter.com (opens in a new window). When you log in click on the button labeled '<< Admin Area' in the top left of the screen. 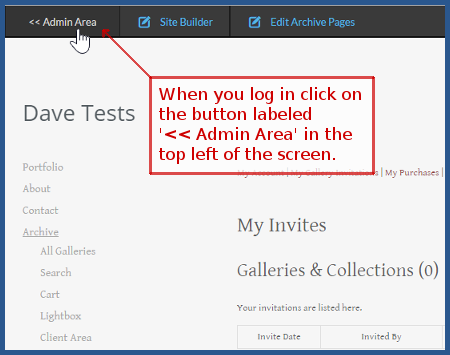 If it's not visible click on the 'Site Builder' button and on the new page then click on the '<< Admin Area' button that should now be visible. 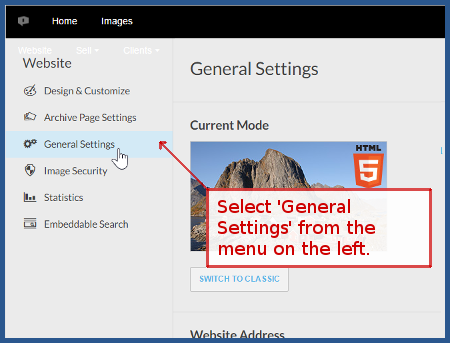 Select 'General Settings' from the menu on the left. 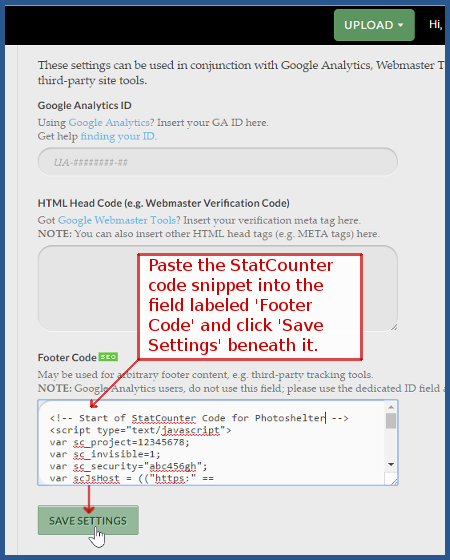 Scroll to the bottom of this page and paste the StatCounter code snippet into the field labeled 'Footer Code', then click the 'Save Settings' button beneath. Your StatCounter will now begin recording visitor information and, if you chose the visible option, your counter will be visible on your Photoshelter site! Sign up for a Statcounter account using our PhotoShelter installation guide. You can reinstall PhotoShelter on your Statcounter project.